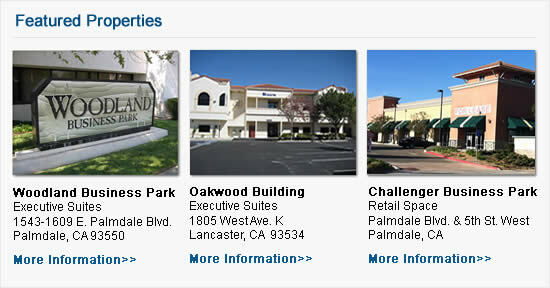 (Executive Suites Available) Moorpark/CA Science Dr. & New L.A. Ave.
Martin Properties offers many premium office space and commercial space within the Antelope Valley (Lancaster & Palmdale, CA). Martin Properties also has high-quality Executive Suites for rent. Please contact us if you have any questions about our properties. If you are a broker please see the “For Brokers” page for information on how you can work with Martin Properties.